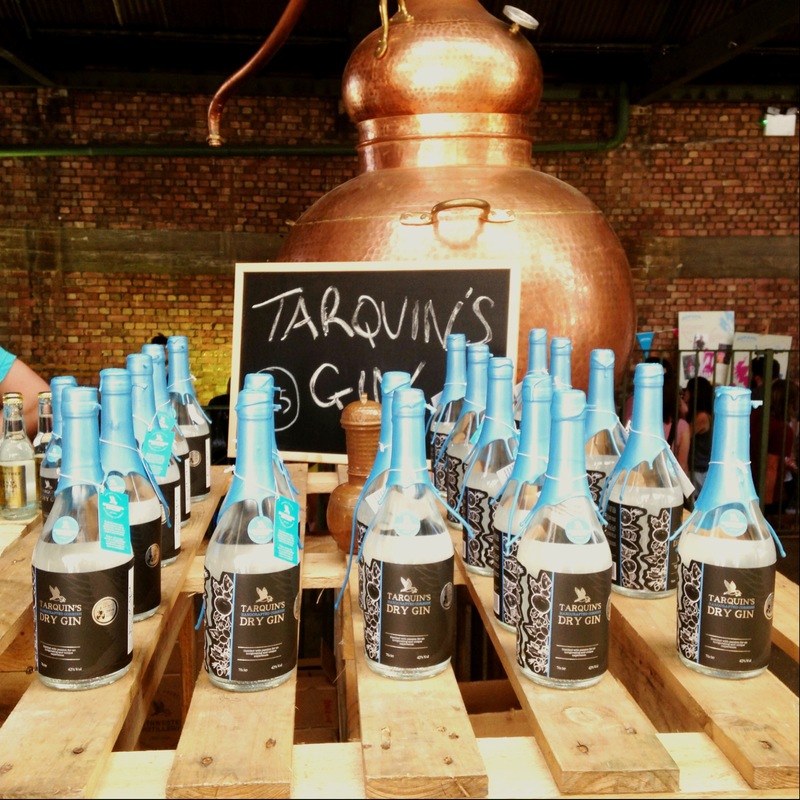 Last Sunday, slightly hungover and bleary eyed from one-too-many gins the night before, I headed over to the wonderfully named Junipalooza – the brainchild of @ginfoundry and @theginblog. The event, held in a trendy old warehouse in East London, was perfectly organised. 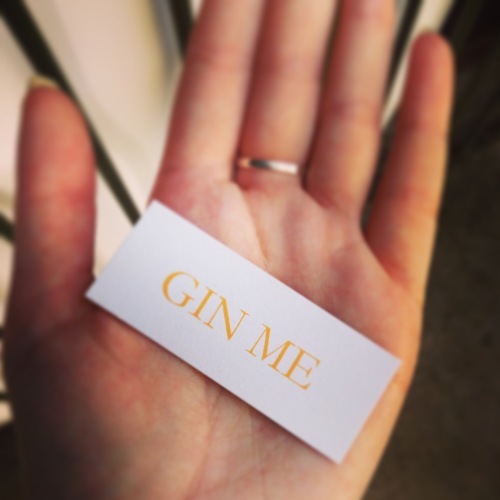 From the moment I walked in, and was asked if I’d eaten lunch (drink responsibly, kids), to the tiny card I was given, which was hole-punched to signify how many gins I’d sampled, every detail was perfect. Fifteen different makers were on hand, sampling 46 different gins. If there’s one way to get over a hangover, it’s a hair of the dog, right? Well no, actually. Turns out it’s a fistful of fur, which roughly translates to five gin samples and 5 gin and tonics. Who knew? 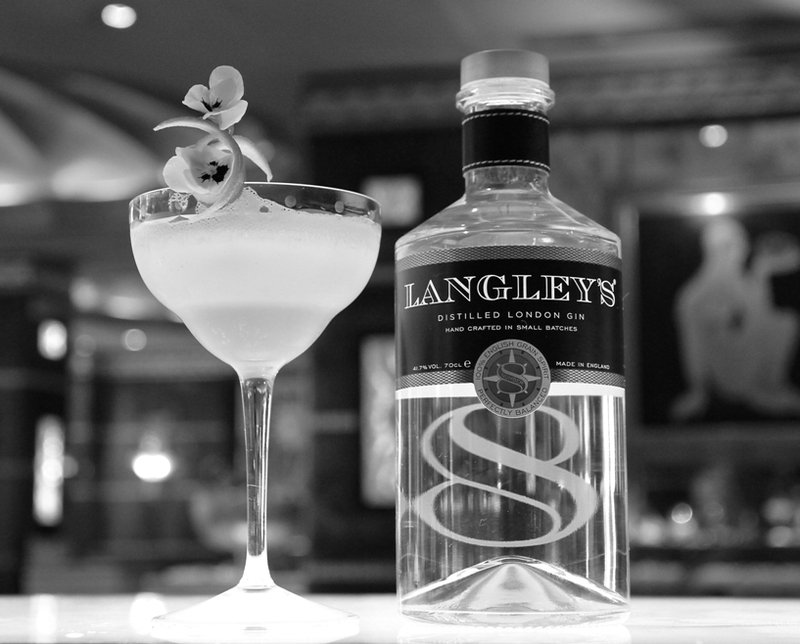 I started off with Langley’s No.8, a delicious hand-crafted gin, made with 8 botanicals in an English-produced pot still. Slightly stronger than your average ‘high-street’ gin (Gordon’s, Bombay, etc.) at 41.7% ABV, this English grain spirit was surprisingly smooth, and tastes great when served with Fever Tree or Fentiman’s Tonic over ice with a wedge of grapefruit and a basil leaf, according to Langley’s Brand Manager Nik Koster. Find out more about Langley’s No.8 here. Next up was Adnams. Well known for their beer and cider, but less so for their gin. 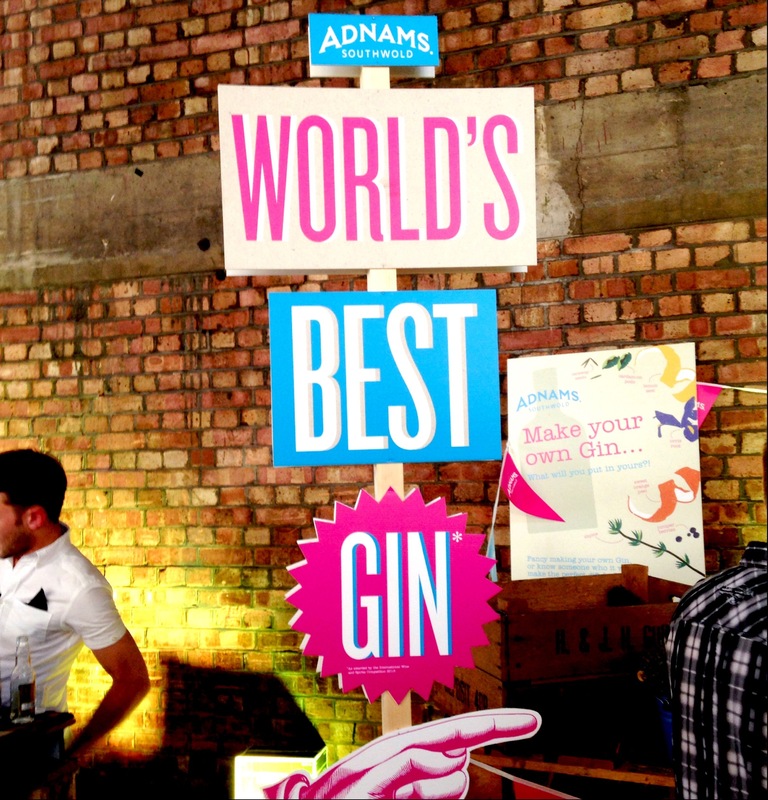 They were sampling two types; Adnams Copper House Distilled Gin, and Adnams Copper House Distillery First Rate Finest Cut Gin. At 48% ABV, the First Rate Finest Cut Gin was powerful and smooth with sweet notes. The Copper House Distilled Gin (40% ABV), made with six different botanicals, including hibiscus flower which really adds another dimension to the flavours of the gin. Recently awarded Gold Outstanding Winner at the International Wine & Spirit Competition 2013, it really is worth a try. 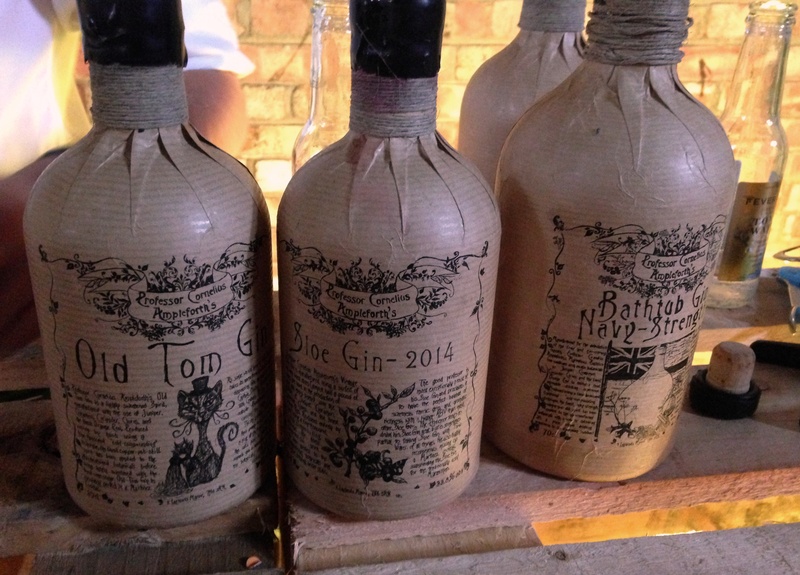 My third discovery was Bathtub Gin (43.3% ABV), produced by Professor Cornelius Ampleforth. It was the only gin at Junipalooza which is infused, not distilled. It’s been around for about two and a half years now, but is still produced in super small batches of no more than 60 bottles at a time. Cinnamon, clove and cardamom give this a really earthy, perfumed flavour and scent, but the overall consistency is smooth and almost creamy. A really lovely gin on its own, or with tonic (in this case, we tried it with Fever Tree). Fun fact: each bottle takes four and a half minutes to wrap, print, entwine and wax. Next up (and feeling slightly giddy by this point), I tried Elephant Gin. 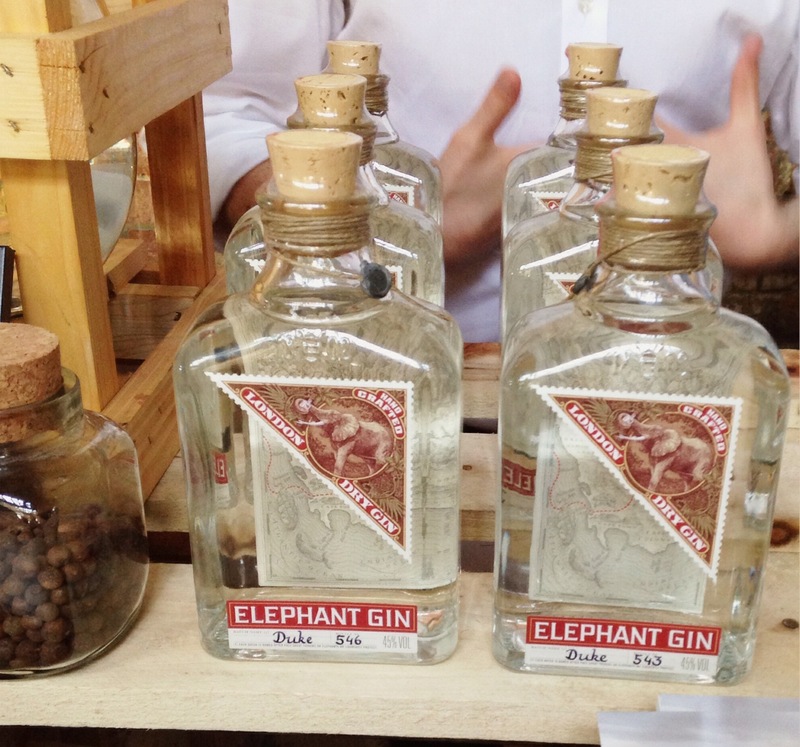 As a brand with a cause, I’d already heard a lot about Elephant Gin, and was keen to see if the taste lived up to the company ethos. For those who don’t know, Elephant Gin donates 15% of all profits to elephant conservation trusts in Africa. Made with 14 botanicals, including the more exotic Lion’s Tail, African Wormwood and Devil’s Claw, Elephant Gin is floral, fruity and spicy, and is best served with a wedge of apple. I found it had an almost menthol-y taste when it first hit my tongue, which was quickly replaced by the spice and fruit flavours. It’s a fresh, strong (45% ABV), but not overpowering taste, and is perfect if you fancy something a little different. My final gin of the day was Tarquin’s Handcrafted Cornish Gin (42% ABV), made by the Southwestern Distillery. After tasting this in a hotel in Bath last summer, I was super excited to meet Tarquin himself. It’s a fragrant, dry and zesty gin which tastes fantastic with Fever Tree. It’s warming without being harsh, and has a lovely lasting after-taste. Made by hand, every single bottle (no more than 300 per batch) is subject to testing by nose and taste, and is then hand filled, signed, corked, sealed and inspected. My current favourite. I came away with a fantastic selection of miniatures (reviews to follow) and a spring in my step. Here’s to next year!